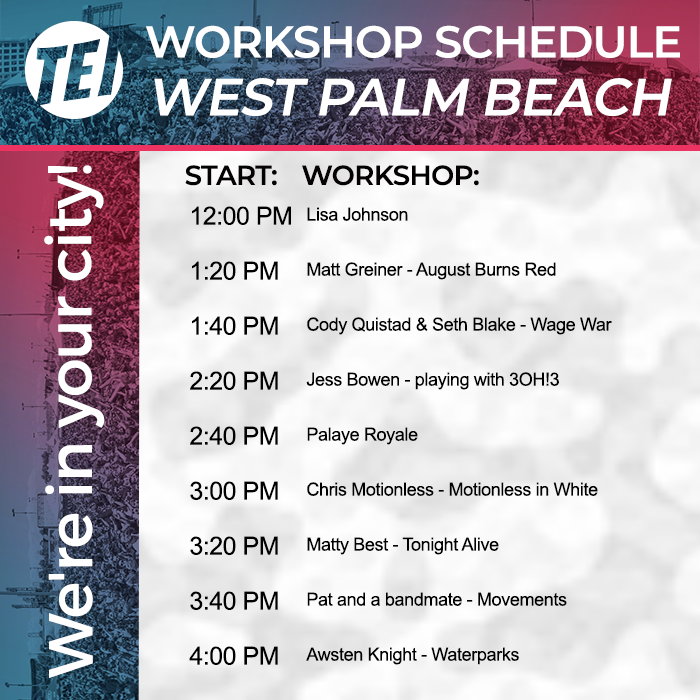 Here you can see today's workshops schedule on the Vans Warped Tour. Note, we change the schedule every day so check back in the morning of your specific Warped Tour date! Today our TEI tent is by the Full Sail stage by New Found glory merch. Please note, check in for your workshop 10 minutes before the start time by the blue TEI flags by the Owly stage, behind Story Untold and beside Trippy Lips.